PAN encrypted DSC for MCA21/ ROC / Income Tax return filing, E-fillings, etc. For Travel agents / Tour Operators / IATA Members / TAAI Members / Air & Railway Ticketing Agents / For E-Tendering etc. Encryption is a mechanism by which a message/information is transformed so that only the sender and recipient can see and read it. For E-Tendering etc. Ministry of Company Affairs has launched a prestigious e-Governance programme named MCA21. Under the said MCA21 programme, new e-forms have been notified vide GSR No. 56(E) dated 10.02.2006 and statutory filing, in the office of RoC would be on the basis of the new e-forms only. To make these new e-forms legally recognized and authenticate Digital Signature Certificate issued by mtnlTrustLine or TCS is required. 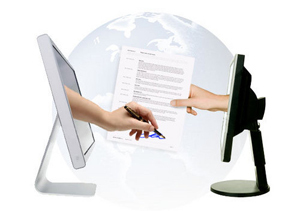 These Digital Signature Certificate used for e-forms has the same legal recognition and validity as handwritten signatures. Detailed MCA21 programme is available at www.mca.gov.in. It is now mandatory to have a Class 2 digital signature or class 2 with PAN encryption digital signature certificate to file your income tax return online. Digiexcel is the authorized licensed registration authority to process class 2 and 3 digital signature certificates across india. Apart from this we are also known as the best price dealer for class 2 and class 3 digital signature certificates (DSC). Digiexcel is efficient in providing class 2 digital signature to all individuals and employers for income tax, e filling and more. To buy class 2 digital signature call on the given number. Class 3 digital signature is a type of digital signature with its own security level and use. Any organization interesting in apply for any government etender must have a class 3 digital signature registered with the name of authorized person to submit application form for e-tendering. Class 3 digital signature authorizeSs your identity as valid and provides you higher level of security while you transact online for e-tendering. Documents electronically signed by class 3 digital signature are safe and ensure privacy of the information exchanged over the web.